Booth traffic. 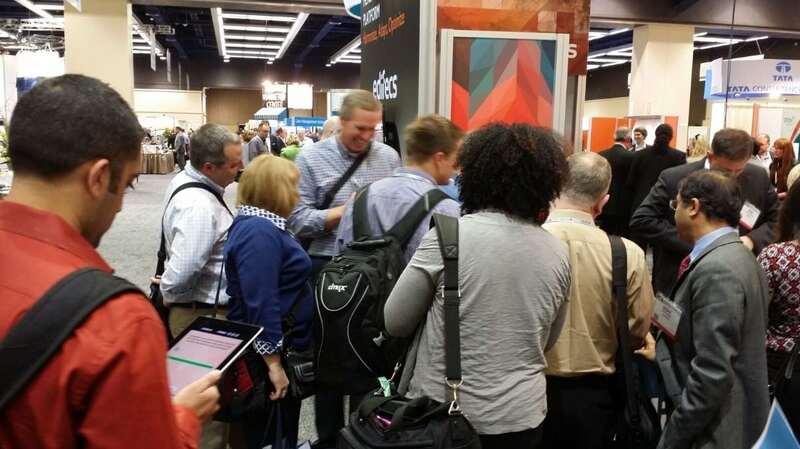 Over and over, clients tell us they want to drive booth traffic. They are constantly looking for interactive technology ideas that will help them get more people into their trade show booth. And we’ve heard it for a long time. 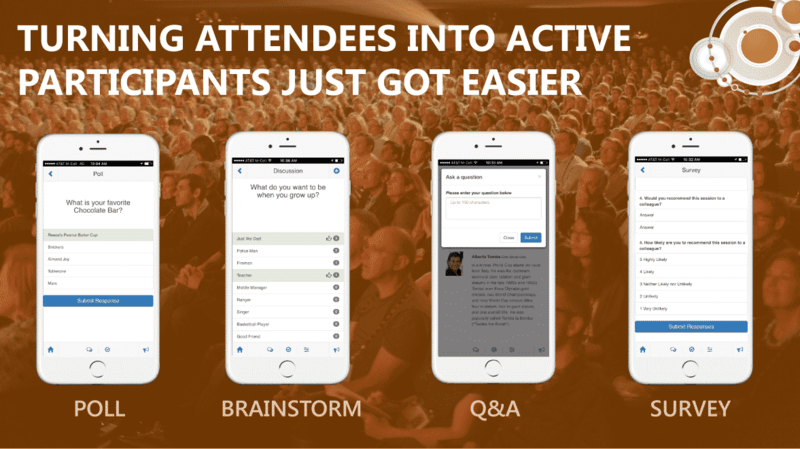 We’ve been working with interactive, digital, and social-media driven attendee engagement in events for more than 10 years. Some of our over 1,000 activations have worked very well. Some have not. So let’s give you the best of those 10 years. Ever have a friend that was so attractive, it took a while for you to realize what a great listener they were, too? Our new customers are usually so excited about getting more booth traffic, taking more leads, and looking more fun and high-tech with our trade show games, that they often overlook many of the other significant advantages they receive from working with us. According to a 2015 white paper Tech for Trade Show Exhibitors from Skyline Exhibits and Access Intelligence, most exhibitors are still putting PowerPoint slides or their own websites on the screen. That’s probably because they don’t know how easy it is to create content that will go beyond websites and PowerPoint and generate more leads and sales. New and improved SocialPoint Audience Response App, plus new engagement displays make it easier than ever to “Google the Audience” and tap into the wisdom of the crowd. Every 4-6 weeks, we make improvements to our SocialPoint Audience Engagement platform. 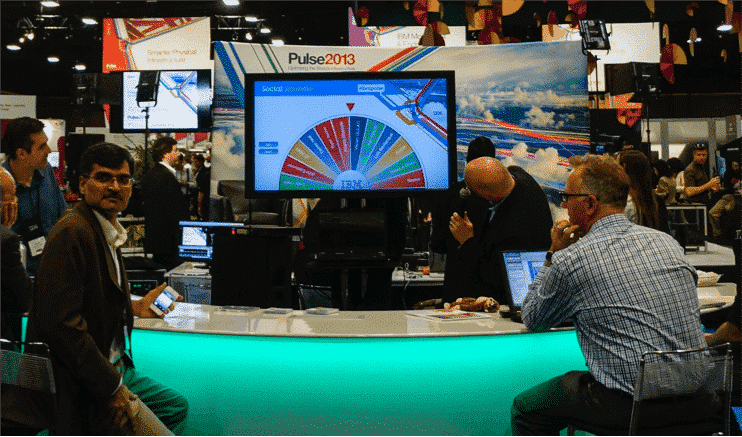 In May, we rolled out a Virtual Prize Wheel for trade show booths. Today, I am excited to share that we made several wide sweeping improvements to our Audience Response Solution. These updates make it easier for speakers, facilitators and CEOS to “Google the Audience” and tap into the wisdom of the crowd. Our new web based app looks and feels more like a native app, but it can work in your browser or saved as an icon on an iPad or iPhone. The app is fully brandable, configurable and customizable to your event themes. Everybody – and I mean everybody – loves to spin the prize wheel. Our virtual prize wheel is no exception. Recently a gala used our prize wheel to manage prize giveaways (and inventory) during an event. Everyone loved pushing the spin the wheel button. The gala sold out of 100’s of prizes in 30 minutes. What is the virtual prize wheel? The Virtual Prize Wheel is a digital, self-service game that pulls trade show attendees into an exhibitor’s booth to play because it is great looking, fun, and offers the chance to win free prizes. Which drives higher lead counts for exhibitors! You’ve got your event budget approved. You’ve ordered your flat screens and custom monitors. You are set for social media display success! Just one minor detail. What are you going to put ON those screens? More often than not – we see people trying to make the social feeds on the screen look like a giant iPhone. And, in our opinion – it just doesn’t work for events. (1) Events are branding opportunities. Your digital screens and décor need to work together to promote the brand. Social media is visual today. Usually more than ½ of the content is photos anyway. A big giant iPhone of Twitter text content does not really get the job done. This is likely NOT what you had in mind when you talked your boss into using a Live Social Media Feed at your event! We recently wrote a blog post highlighting the Top 4 Event Social Media Wall Must Haves. One of our main points was that live social media feeds are a great way to let attendees participate real-time and feel “a part of the conversation” at events. Great in theory, but what happens when the “freedom of speech” that we hold so dear, shows up in the form of a crazy jumbo-sized social media post on your event wall? As you know, anyone and everyone at an event can share their thoughts – right, wrong or just plain inappropriate. It’s time to start packing up the kiddos up in the family truckster to head down the road toward your holiday destination. Right about now, you are likely hit with that familiar sense of sentimental reflection that Thanksgiving brings. As we count our blessings, it’s easy to forget to appreciate some of the “little things” that consistently make our lives better in big ways. Most of us are familiar with the way Social Media has affected our lives, our businesses and the way we’ve come to communicate. Brands, big and small, are taking advantage of the reach and credibility that a simple Tweet or Instagram post has when people see a branded message from someone they know in their own network. It is what unifies us to stand behind (or in some cases avoid) a cause. You do it. I do it. We all do it. There’s really no shame in it, so why deny it? We are obsessed with taking photos and videos! (Why is it that saying that always sounds just a little creepy?) Maybe even more than the actual act of taking them, we are obsessed with sharing them with others Online. Where does this incessant need to capture and share the events of our day-to-day lives come from? I’m not naïve enough to believe that my life is so interesting that people sit around all day waiting for me to upload my next Facebook pic or YouTube video.